Our understanding of how the brain works has radically shifted, exploding long-held myths and fundamentally changing the way we interact and succeed in the workplace. In The Leading Brain, neuropsychologist Friederike Fabritius and leadership expert Dr. Hans W. Hagemann present simple yet powerful strategies for sharpening focus, learning and retaining information more efficiently, improving complex decision-making, cultivating trust and building strong teams. Based on the authors’ popular leadership programs, which have been delivered to tens of thousands of leaders all over the word, this clear, insightful and informed guide will help both individuals and teams perform at their maximum potential, delivering extraordinary results. Effective leadership is a science, which shouldn’t be dependent on buzzwords or slogans. It should be based on a bedrock foundation of our understanding of the brain. Thanks to breakthroughs in neuroscience, we no longer have to merely speculate on the behavior of our brains. What we’ve learned from rigorous scientific studies has the potential to radically change the way we lead and succeed. • How understanding neurochemistry can help you achieve peak performance. • How to retrain your brain to sharpen your focus and regulate your emotions. • How to develop new and better habits. • How to harness the power of unconscious decision-making. • How to improve the learning process for yourself and your team. 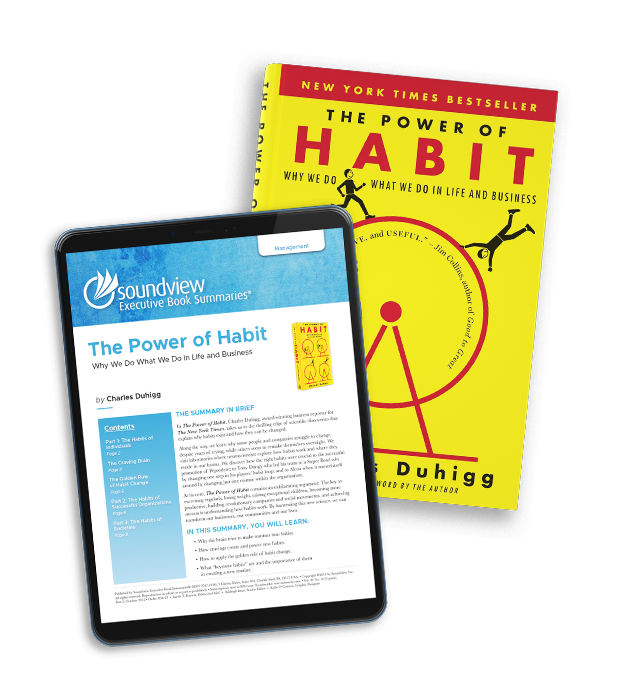 Soundview subscribers get in-depth summaries of the key concepts in best-selling business books delivered to them every month! Take your career to new heights by staying up-to-date with the trends and ideas affecting business leaders around the globe. Great Book of all the time, I will look for it in our local stores.